Simply put, if the rule goes through, the restrictions could make it more difficult for those in public housing to maintain housing stability, and their quality of life would suffer. It’s a losing situation. Obviously, the science is there that cigarettes are deadly and dangerous. We are also well aware of the effect of second-hand smoke. But most of us are unaware of the prevalence of co-occurring mental illness and substance use disorders among our poor and homeless. Mental illness can often make it difficult to secure stable employment and housing. The lack of housing is a daunting barrier to recovery because people then cycle in and out of homelessness, shelters, hospitals and even jail. Up to one-third of our homeless have mental illness, and up to 300,000 public housing units are closed off to people with mental illness to prioritize other populations such as elderly people. Smoking is often a coping mechanism, a way to relieve stress or anxiety. Individuals with mental illness or who are in recovery from substance use smoke at a higher rate than the general public does. Up to 36 percent of individuals with mental illness and 85 percent of people in alcohol recovery smoke cigarettes, compared with approximately 21 to 25 percent of adults without mental illness or substance use issues. Not only does the proposed ban create barriers to independent living for people with mental illness and those in recovery, it is also difficult and intrusive to enforce a rule such as this. The success rates for those who are able to quit smoking without medication or other help is relatively low at between 4 and 7 percent. Thus, even if this rule were easy to enforce, compliance would probably be low because of the extreme difficulty in quitting smoking without support or treatment. With treatment and support, up to 25 percent of former smokers can stay smoke-free for more than half a year. The government simply cannot ban and consequently punish a legal addiction or an individual from a legal behavior without providing the needed support or incentives. There are, however, programs that can solve these problems. One is called Housing First, an initiative that is being advocated by the United States Interagency Council on Homelessness. Housing is offered without treatment prerequisites. Research has indicated that individuals housed through a Housing First model obtained more positive health and quality of life outcomes than those housed through programs requiring strict housing readiness criteria — such as a requirement that they must maintain sobriety. The critical component of this model, and a reason for its success, is that it is founded on individualized voluntary services that are dictated by the individual’s needs and choice rather than federal regulation. In line with this research, the Texas Department of State Health Services is funding a Healthy Community Collaborative model to house and then fully coordinate the recovery oriented care for individuals who are homeless and have a mental illness or co-occurring disorder such as substance use. Although this program is still underway, preliminary results indicate that providing housing without treatment prerequisites and fostering client choice in services received is an effective model. Therefore, imposing strict requirements on clients such as a smoking ban could have negative effects on maintaining housing stability as well as a consumer’s quality of life. The path to independent living is rife with pitfalls. Our local communities and those dependent on public housing will better benefit from realistic goals, expectations and supports rather than invasive government-enforced house rules. 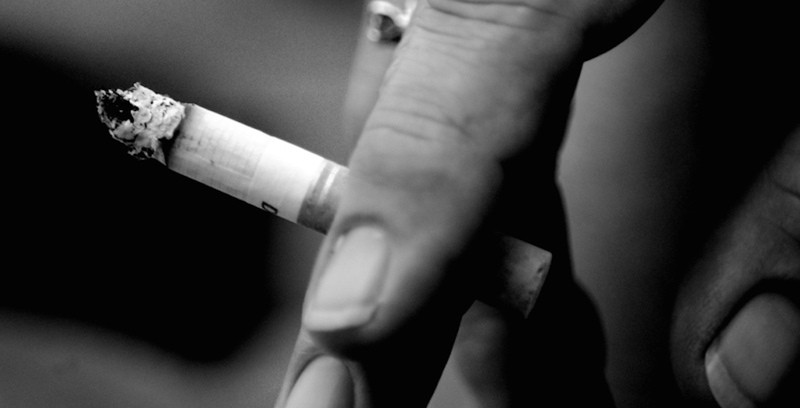 Smoking cessation is needed, but it cannot be dictated in the manner this proposal suggests. Setting the record straight on "Ban the Box"